Foundations Early Learning & Family Center is pleased to announce that Liz Huntley, accomplished litigation attorney, dedicated child advocate, nationally renowned speaker, published author and champion of pre-K education, will be kicking off the Foundations’ Parent Involvement Meeting series on Tuesday, September 4, 2018 at the Forest Hills Community Development Center. Born into abject poverty, with all odds against her and influences of abuse, neglect and drug addiction, Huntley should never have become who she is today. But because of an early childhood education she received at a preschool started for African-American children during integration in the 1970s, her life was forever changed. The encouragement and affirmation of a teacher became a game-changing event that produced a powerful wake of hope whose current has proven unstoppable. Huntley will be addressing Foundations’ parents on the importance of early-childhood parenting. “Just providing a quality preschool education isn’t enough,” says Kathleen Drake, Foundations Executive Director, “parent involvement is key, and coming alongside parents to equip them to best facilitate their children’s development and education is at the heart of our mission. Mrs. Huntley understands that first hand and values the importance of what we are doing; our parents will be immensely blessed.” With great compassion, Huntley wants parents to understand that parenting is hard – no matter where they live, work or how much money they make. Providing children with security, love, safety and encouragement, Huntley believes that these foundational values, coupled with a solid pre-k education can provide hope and help set children on the right path for a bright future. 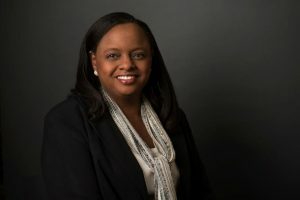 Frequently asked by governmental agencies to consult on issues that impact children including the development of legislation that protects children, she is a leader in the movement to expand access to high quality pre-K to all four-year-olds in Alabama and has received several state and national awards for her work for children. She practices law at Lightfoot, Franklin & White, LLC in Birmingham, Alabama. She is the recipient of many professional honors and awards, including membership in The National Black Lawyers–Top 100 organization and selected by Super Lawyers as a 2017 Mid-South Super Lawyer.